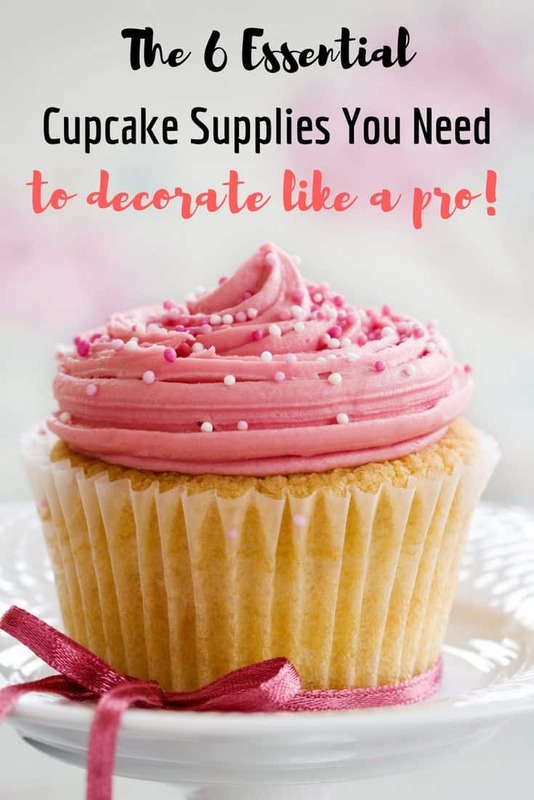 When it comes to making your cupcakes look like they came from a bakery, then there are certain cupcake decorating supplies that you need. This is a list of the supplies that I own, use, and love. One of the questions that I get asked all the time, whether it’s from a reader in an e-mail or just a from a friend is “How do I decorate my cupcakes so they look like yours (or amazing, professional, like they came from a bakery)?” Um, ok first of all thank you if you think mine look amazing. Second of all, they didn’t always. Seriously. Beautiful cupcakes take some practice. But besides practice and patience, you are ever going to be as good as the tools you’re using. Or maybe not using in this case. If I could you and I would head over to Michael’s craft stores, and we would spend a super fun hour or so in the cake decorating supply aisle. I’d load up your cart. Then we would head over to your house, maybe grab some lattes, and then start decorating some cupcakes with our new fun supplies. Since we can’t do that, this is the next best thing. If you’re serious about making your cupcakes look like a pro decorated them then I highly recommend the list I put together for you. *Listed below are affiliate links. I do make a small commission if you make a purchase (it costs you nothing extra). You can read my full disclosure policy here. Disposable bags: I swear by these piping bags. I always keep on hand at all times 12 inch and 18-inch sized bags. If you get them on Amazon, they come in a 100-count roll for around $7, which is crazy cheap! Trust me, I have shopped around. For most cupcake baking I do I use an 18-inch bag. This way I do not need to re-fill my bag if just frosting 1 or 2 dozen. No refill = less mess. I love these bags because they are in a convenient roll. So whenever I need one I simple just tear one off and I’m good to go. 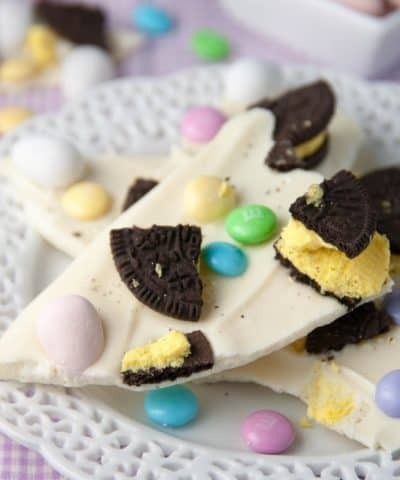 Another great option for you, are the disposable Wilton decorating bags. For these, I highly recommend getting a coupon and buying a box of these bags at your local crafts store, such as Michael’s. Reusable bags: A little more friend to the environment. I also keep a few of these on hand, just in case as well. When I first started out I used these primarily. As the baking became more frequent, I switched to the disposable. The great thing about these is exactly in the name. Invest one time and you’re set! Just simply need to wash and you’re good to go. If you know you are going to making different frostings, colors, and/or fillings I would recommend more than one bag. The last thing you want to do is in the middle of decorating- stop, wash, fill, repeat. So save yourself the hassle and invest in a few. Also, because these are a more permanent solution, you can only cut the bottom of the bag once, which means you have to be committed to the size of the tip you are going to use. I have smaller bags with smaller openings for small tips for when I am going to do more detailed work. I have larger bags to fit my larger cupcake tips. It’s always good to have a range of sizes! My favorite ones are from Atecco, but I also have a few from Wilton as well. 2. 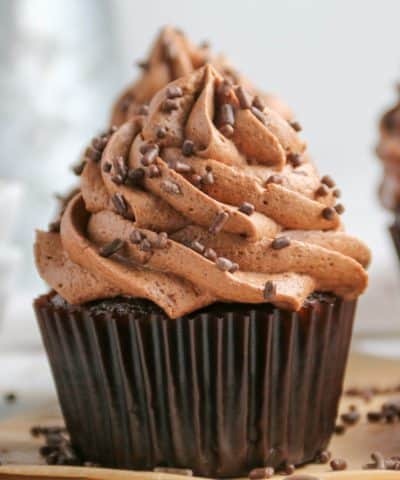 Pastry Tips– When it comes to pastry tips for cupcakes, LARGE cupcake tips is the key. In order to get that beautiful cupcake swirl you need large pastry tips. I love having an assortment of different kinds so I can make different kinds of swirls depending on my mood. This set is a great starter set by Ateco which I love, love, love and have many of. 3. Icing Bag Ties– I do not use these personally, but if you are starting out these might be quite handy for you. These ties help keep the piping bag shut on you so frosting doesn’t volcano out the back of your bag. Unpleasant for sure. If you don’t want to invest in these, seriously a clean hair tie or rubber band works well too. Either way, I recommend some sort of tie until you master holding that piping bag. 4. Sprinkles– Ok I can’t talk cupcakes without talking sprinkles. And if you’re new to decorating, sprinkles will be your best friend to cover up any faux-pas you might have. 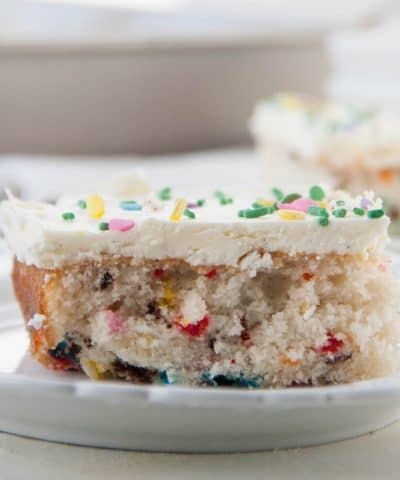 If your cupcake frosting ends up looking less than stellar, bust out some sprinkles friend. I LOVE me some sprinkles. Yes I am that baking nerd that has them organized by “seasonal” and “non-seasonal”. My favorite go to sprinkles I use all the time are these, but of course there are always sprinkles in every color and season depending on your mood. 5. Gel Food Coloring– Coloring your frosting can be fun. 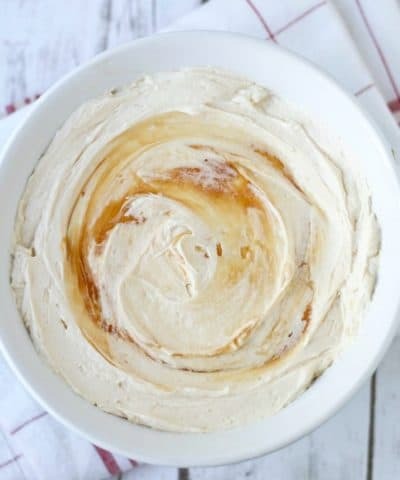 But it also can make or break your buttercream in the end if you use the wrong stuff. Liquid food coloring adds too much liquid to your buttercream and for certain buttercreams, like swiss meringue can really do some damage. So I only use gel food coloring, so no added liquid is added. My favorite brands are Americolor or Wilton Gel food colorings. 6. Cupcake containers– Now you might be thinking, what the heck does a container have to do with my decorating? Well, friend if you plan on taking those cupcakes anywhere and want them to look as pretty as they did in your kitchen. It comes down to your containers. And they are NOT all created equally. I bought way too many. Been gifted more than I would like to admit. Ahem, please stop buying me cupcake containers. Because here is why. Most of them are crap. Like don’t work. Topple over cupcake messes in the end. I can’t tell how many times I brought cupcakes places only to find they have toppled over and smooshed into one giant cupcake. Some are too short to hold a high pile of buttercream (and I like my frosting). And some are not travel worthy. Most don’t hold the cupcakes well and they topple over in the car on me. A cupcake carrier like this one or this one, will ensure that your cupcakes are secure on your travels. I love using cupcake containers so my cupcakes stay nice and neat. I will use disposable, but that can expensive over time. So a good cupcake carrying case is key to bring them places and they actually look presentable still. Ugh. Offset Spatulas – I have so many of these to count. 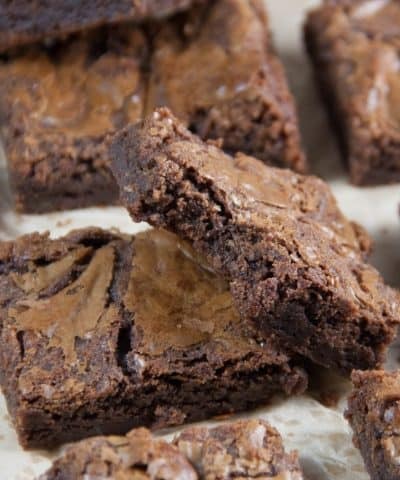 But they are fantastic for spreading a layer of frosting on. I do not recommend using butter knifes if you want to frost by hand, those ridges on the knife will not give you that super smooth look like an off-set spatula will. Greaseproof cupcake liners– Now liners aren’t essential in the decorating process I supposse, but I do believe they can make or break what your cupcakes look like in the end. So I included these on the list. I swear by these. Please do not use those ones in the store. And for the record those metal cups aren’t actually meant to be used did you know that? They are just seperators for the actual liners? Fun fact. Moving on 🙂 But yes greaseproof liners will make your cupcakes just look that more professionally. And they come in so many fun colors! Although the classic brown is my go to. Apple Corer– There are different ways you can core a cupcake (I show you 4 ways in this post actually), but an apple corer is probably my favorite. 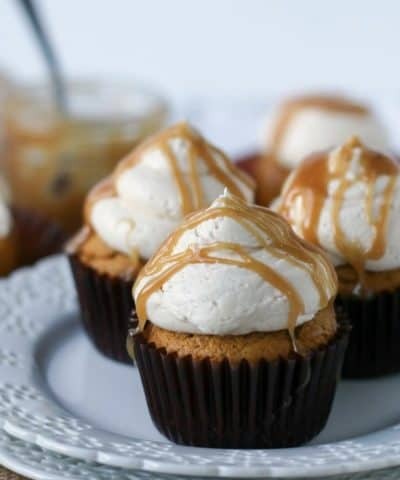 And a cupcake with a surprise center like these PB & J cupcakes. Um swoon. Cupcake pans– Of course you need some cupcake pans. Good ones. And my favorite go to pans are these ones from Chicago Metallic and these ones from Wilton. I always recommend having two on hand! Seriously that’s it. Those are my go to 6 supplies (ok and I snuck in a few more because I can’t help myself) if you want your cupcakes looking like they came from a bakery, not your two year old. Want more cupcake help? 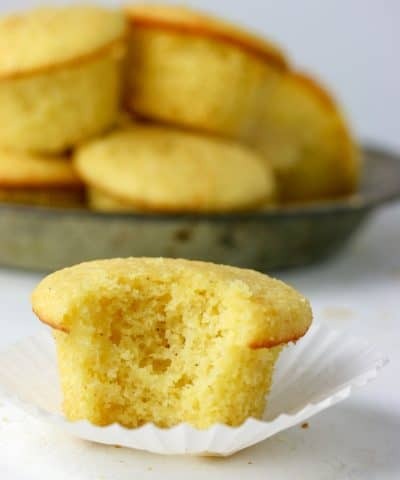 Check out these posts to master cupcake making in no time!